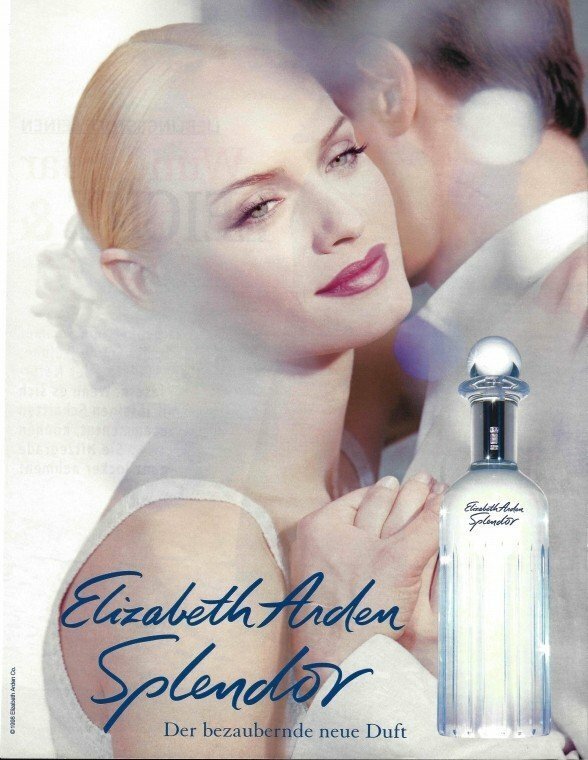 Splendor is a perfume by Elizabeth Arden for women and was released in 1998. The scent is floral-fresh. The production was apparently discontinued. I have a few EA scents in my collection and like/love most of them, so when a friend bough "Splendor" for a very cheap price, I was curious to test this one. One spray on my wrist and it instantly hit me...a lily-of-the-valley note that allows no competition of any other notes. On me "Splendor" is a lily-of-the-valley bomb like no other, its LOTV note is sharp, unforgiving and too much of a good thing, which makes it a bad thing. It doesn't mellow out and doesn't seem to have a middle or dry down, no, on me it's all sharp screeching LOTV. It gives me a headache and makes me slightly dizzy. After enduring it for 3 hours (I was in transit and couldn't scrub my wrist) I had to pull my sleeve down in a futile effort to *stop* the LOTV note from permeating my head into a dizzy spell, but alas, this Splendor is a longevity and silage monster and I applaud the chemistry that can tame it. On the plus side: if you're a REAL LOTV fan then this one should be on the top of your must try list. It's very inexpensive and this lilly wont wilt and will stay with you far into the next day because even a scrubbing of my wrist could not really diminish its power. Alas, despite the very friendly price and the elegant bottle, this one is definitely not for me - but don't let that deter you fro trying and enjoying it. Good luck! Elizabeth Arden, in my opinion, makes some real quality scents. It's such a shame to see some people so ready to disregard the brand before giving it a fair chance. Splendor is highly underrated, and far beyond average when compared to some other white florals, most notably lily of the valley based scents. Splendor is almost as pretty as Diorissimo. This fragrance is fresh, feminine and clean. The florals in this composition are sparkling and pure, just enough to satisfy some serious floral cravings. Lily of the valley comes across as being rather dominant in Splendor, with jasmine, hyacinth, freesia and wisteria smoothing out the scent and adding a pleasant soapiness. Splendor is innocent and casual. 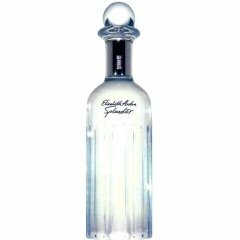 A great scent to spritz on when you don't know what else to wear. It also suits almost every season and occasion. I personally love it for its versatility. Young women, like myself, most likely walk past this fragrance in the stores thinking it'd be something boring and plain like the bottle and packaging it comes in. I half expect there would be discriminatory remarks like, "only for grannies" to follow in suit. I stand up for this fragrance, and openly declare that it is a scent worth testing, especially if florals are your thing. Splendor is wonderfully inexpensive, however I also fear that it may be soon discontinued. My mother loves this brand, and this fragrance. I would be saddened if fragrances, such as this one, were to become no longer available. It's a beautifully composed scent, that has really left a good impression with me. Did I mention that the sillage and longevity was good too? Please, give it a try. It's not just for 'old ladies', even though I don't disagree that your grandmother would probably love Splendor too. freesia and green apple for the tartness. jasmine is a bit noticible but to be a bit diluted under the other notes. then it ends with sandalwood. Write the first Review for Splendor!